Ellie is a playable character in The Last of Us and one of the major protagonists of the game. A teenage girl fighting to survive in the post-apocalyptic setting of the game, Ellie meets Riley (another teen) while in the Boston quarantine zone. The two teenagers grow closer throughout the game with romantic feelings hinted at as their relationship progresses, and eventually they share a kiss in the Left Behind DLC expansion. 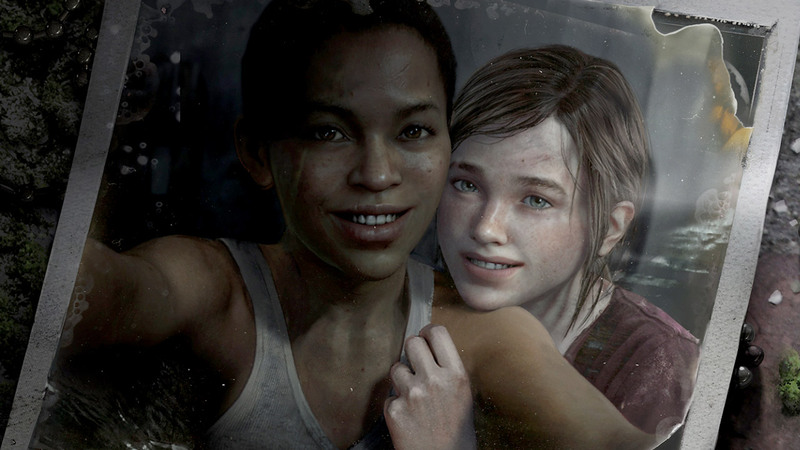 In an AMA on Reddit about the Left Behind DLC, Neil Druckmann (Creative Director of The Last of Us) clarifies that they did indeed intend for the kiss and relationship between the two girls to be interpreted as romantic. Fans have discussed the kiss on the Last of Us Wiki, the majority of the commentary being positive. As the relationship is only explicitly shown in the DLC, however, we are listing these characters as implicitly represented.